Motorcycle Service Perth at Brooklands Automotive is ready to provide a quality and personalised range of services for your motorcycle or scooter. Using only original parts the technicians perform all the required checks and adjustments so that your motorcycle gives the best performance on road. There are options for logbook servicing for new bikes. Motor Mechanic Perth offers first class services for suspension, clutch and transmission, engine, wheels tyre and steering of motorcycle, scooter or ATV. Suspension repairing services here include fork seals and bushes, linkage bearings or modern shock replacement. You can get all the parts you need. In case your clutches slip and gears jump in and out, Motorcycle Service Perth by Brooklands Automotive can replace those clutches and gears. Up gradation is possible from clutch plates to full gearbox main shafts. You can also easily replace your worn steering head or wheel bearings. Brooklands Automotive has brought Motor Mechanic Perth that has a great understanding of motorcycle electrics. You can get assistance from cases like blown bulbs, loss of spark or battery problems to more difficult issues like electronic fuel injection systems. You can get replacements of starter motors, regulator rectifiers, coils and switch blocks. Full engine rebuilds with genuine parts are no longer problems with Motorcycle Service Perth. Brooklands Automotive provides the latest tools and technology to diagnose all these problems. With access to major suppliers Motorcycle Mechanic Perth can supply and fit the exact parts and accessories. They can assess and provide a full written quote to repair your bike. Brooklands Automotive provides insurance and logbook servicing in Motorcycle Service Perth. Logbook servicing helps to preserve your bike’s statutory warranty. It guides your mechanic on exactly what your bike needs at that specific service interval. 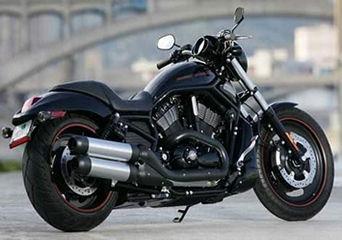 For mechanical repairs in Motorcycle Service Perth, book now at Brooklands Automotive.